Over at the Guardian, Kat Brewster writes what playing video games taught her about vegan cooking. Who knew there were parallels between Dark Souls and doughnuts? Intersectional feminism is alive and well in the fabulous HELP US! 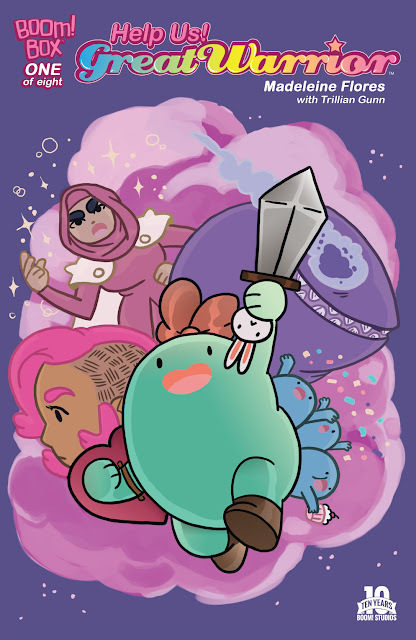 GREAT WARRIOR (including Muslim and Trans characters), created by Madeline Flores and published by BOOM! For today's musical hit, here's Breaking Benjamin and "Never Again." Today's critical rolls: what have you learned from video games?